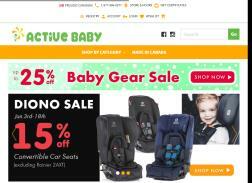 Get 15% off all DIONO Car Seats & Accessories. Get 20% off all Nuna Pipa Car seats, Mixx2 Strollers, Nuna Leaf and Sena. Get 25% Off Dapple products. Get free shipping on orders of $199 or more.